You must be a member of the Buenos Aires Coffee Friends Group to attend this activity. Would you like to join this group? 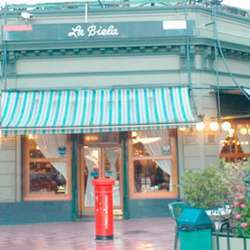 La Biela is a tipical café porteño. It's history start at Protected content ago. It's a very selected place where people go there frecuently. It has room for Protected content seated. And Protected content for people seated outside. You can enjoy a pleasant conversation tasting a classic coffee or some of the delicacies. The comfortable armchairs make the stay in the place pleasant and the tables, well separated from each other, invite a relaxed dialogue. The front still conserves the structure of more than Protected content ago, in spite of the last remodeling carried out in Protected content .